Hot news: I’ve just been told I am allowed to choose my own ordination outfit!!! Not for nothing have I been called the ‘Gok Wan’ of the Anglican Church. At last the chance for a real make-over! 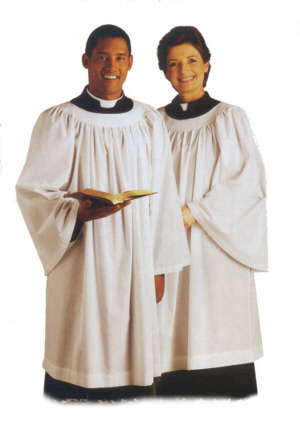 Here is the traditional ordination outfit: a black full length cassock, and a white surplice. Stand a lot of people all wearing the same outfit in a line and it does become quite hard to tell them apart. 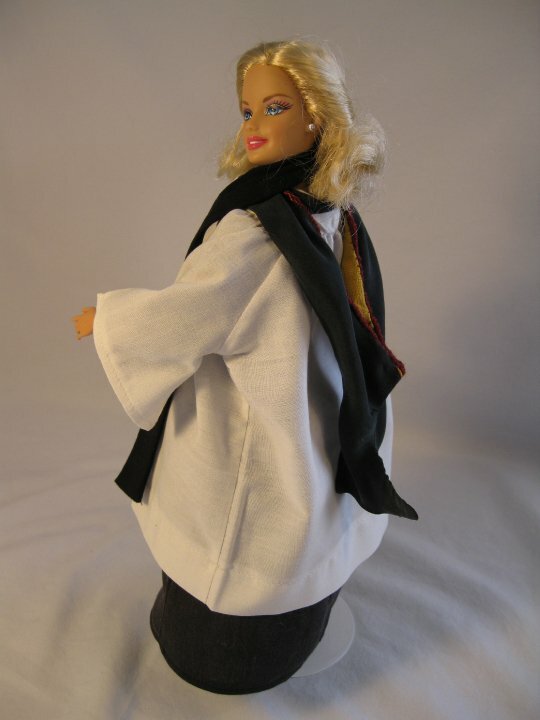 So… it looks like I might be able to start a mini revolution in clerical garb. Now there’s an idea: a mini length cassock with thigh high leather boots? Or what about a silk surplice with lots of lace? 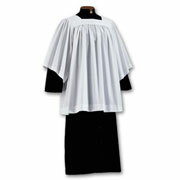 Mind you, it’s going to take alot of darts to make wearing a surplice look less like wearing a puffball mushroom. May be we could just play around with the colour scheme: pink shoes, electric blue cassock, orange surplice?…..
Then again, maybe I should take a few tips from another style icon? 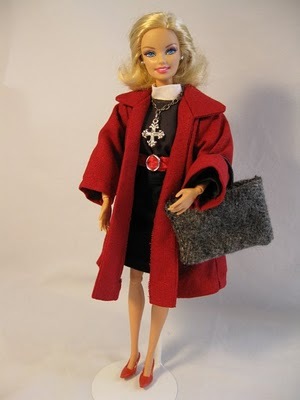 Here is ‘Clergy Barbie’. She must carry a VERY big Bible to need a bag that size! On reflection: maybe I shouldn’t worry too much about the outfit, perhaps all I need to carry it off is a blonde wig, a winning smile and a very big handbag? Not quite the robe they had in mind? Shelia, Thank you for the laugh, I needed one. Somehow this reminded me of my father going to a theatre group mask party – he wore a gas mask! Good luck with your fashion choice and may God bless your ministry. 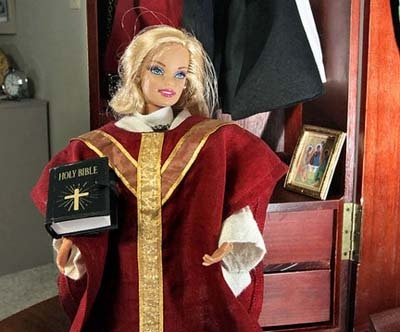 I think I’ve met Clergy Barbie and she has the most amazing underwear. That’s why her teeth are gritted. Sadly I didn’t see it till tea time but nice one!!! 🙂 I think the red is rather fetching ! Very appropriate for April 1st! Leave the electric blue cassocks for the Readers. I can’t see why we all have to dress as 12th century gentlemen anyway but if it tells others that we are Learned the bring it on!